Abandoned, I cannot get it right. Marvin-mental with dre-pella was a great combo: now the other way around they are in different keys? Last edited by CVS on Fri Nov 09, 2018 12:02 am, edited 3 times in total. There are a few "blue notes" here and there, but this is straight-up fun. I'm in. I'm having a hard time getting past the Out of key issue Satis5d has mentioned. 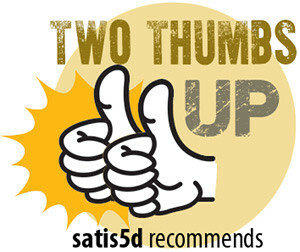 Thanks HCD for your comment (and Satis5d for the recommend). But the mirror mashup (mental and pella switched) had NO remarks here on Mashstix on key - except for the last syllable (!) of dagadaga-daaa in 6 (yes/no) of the 12 repeats. Please point out where the blue notes are, so I can try to fix it. Last edited by CVS on Thu Nov 08, 2018 11:57 pm, edited 1 time in total. It sounds like the instrumental is Ebm while the vocal is Ebmaj. Try pull all of the vocals G notes down -1 semitone to F# (Gb) and that will take care of many of the key issues. Thanks HCD, changed the G-notes to F# like you suggested. In a lot of places they are short and followed by a G# (that turns to a new G). Last edited by CVS on Fri Nov 09, 2018 12:01 am, edited 1 time in total. Now it's just chaos. I'm sorry. The Gs were bad but so are the B's and the note directions. The bottom line is they are out of key by +3 semitones on the vocals. This means the notes and the progressions as they are simply don't match. HCD, thanks for listening again.